Having lived in the city of shadow and fog for the past several years, I have welcomed the opportunity of enjoying the architecture of San Francisco. This is a fairy tale town where people wear flowers in their hair, drink crisp St Jeans whites and live in pink and peach Victorian houses. This is the picture the world has of an iconic city, iconic in its beauty and as a hotbed of immense technological progress. 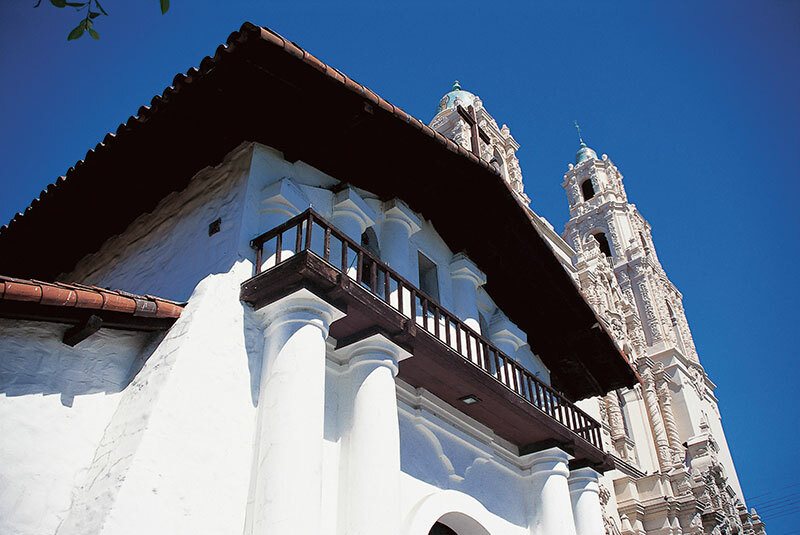 This is also the city that boasts of Spanish colonial architecture and postmodern American building heritage. Or is it really? Has San Francisco ever been a darling of the architectural purist? The answer is no. The city never made it to the hallowed architectural list in America. One of the main reasons being that San Francisco never had master architects like Frank Gehry in LA or Daniel Burnham for Chicago. But the city has managed to be consistently ranked as the most beautiful city in North America. This is because of a certain quirkiness that comes with the city’s architectural development. In today’s world, we would call it personal style, a style that is not to be confused with being a poster child for brands. San Franciscans were happy to live in their quaint Victorian dollhouses and earthy casas. The Gold Coast barons had their luxurious Italianate villas with sweeping views of the Pacific. When I think San Francisco architecture, I think quirky Victorian, mid-century modern and the jewels, Spanish baroque and art deco. Many a lazy Saturday have I walked up Steiner to get my fill of coffee and crepes. Coming down the hill at the corner of Grove and Steiner Street, the Painted Ladies, a row of rainbow coloured Victorian houses comes into full view. My cherry blossom dress and Juicy Couture handbag are humbled by the colours of these houses. The yellows and magentas, blues and greens take over complete blocks. 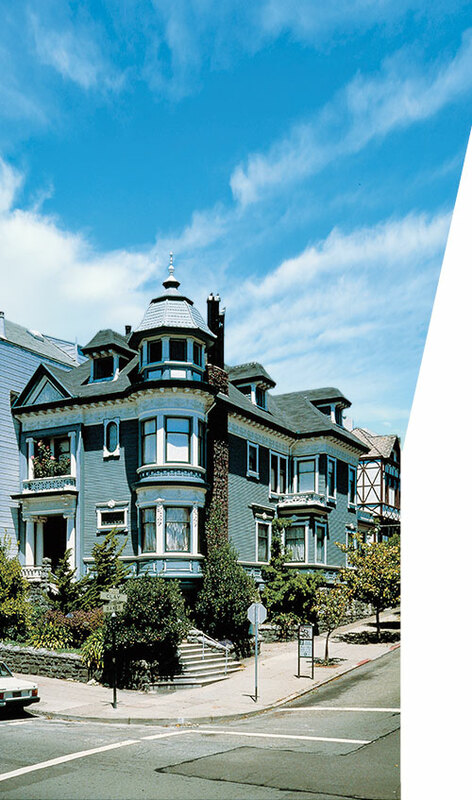 Victorian houses were built throughout the 19th century in San Francisco and drew inspiration from the houses built in Victorian England. Every house exterior has three main and two or three secondary colours. Massive embellishments over the doorways and windows are a common feature. Some of these houses were built in the intricate Queen Anne style while others boasted a Gothic Victorian style characterised by steep roofs, narrow tall windows, grouped chimneys, parapets and pinnacles. The most luxurious Queen Annes like the Haas Lilenthal House have ornate cornices and brackets, stained windows and gingerbread-like detailing. Walking through these streets, I often wondered about the thoughts of the San Franciscans a 100 years ago when they set forth to make their precious houses with pinnacles and towers, stained windows and doors and hundreds of dainty cherubs and fairies to welcome guests at the front door. In 1997, I decided to see the movie Contempt again. 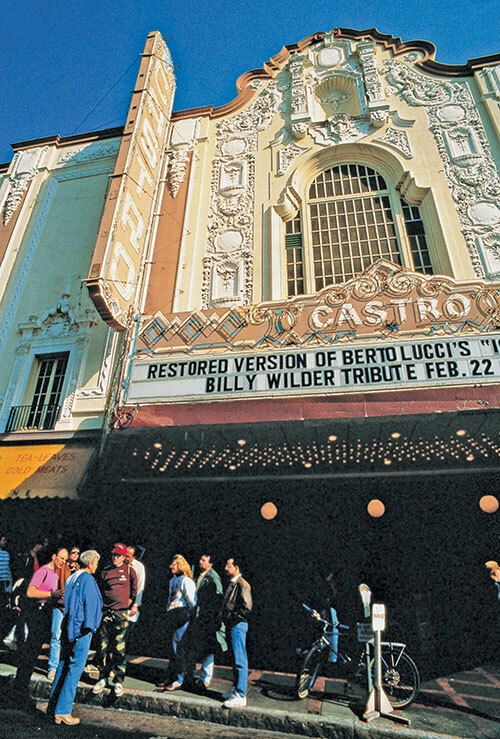 Godard’s re-released classic in new Cinemascope was playing to packed houses at the Castro theatre in the Castro district of San Francisco. Excited as I was to see Brigitte Bardot ride off with Jack Palance in his Alpha Romeo, I could not take my eyes off the ceiling of the theatre which looked like a giant silk brocade canopy resplendent with images of Gautama Buddha. I soon realised that this giant silk canopy was actually plaster. Typical of the baroque style, the Castro built in the 1820s had Moorish tile detailing and trompe l’oeil murals in the main theatre. This theatre was the brainchild of San Francisco architect, Timothy Fluegar. A non-conformist, his style had elements of Spanish baroque, Moorish revival and art deco. His other works include the Top of the Mark and the Paramount Theater, one of the finest examples of art deco architecture in the US. Years later, I bought a house in the outskirts of the city to fit my growing family of one husband, two boys and three cats. My requirements were pretty basic – lots of linear running space in the house and lots of running space outdoors. Yes, we were setting ourselves up for soccer even though my little one was barely a month old. An American ranch would fit our demands and we luckily found one that we really liked. These ranches also called midcentury modern were built long, low and sleek. inspired by the long lines of wheat to the never-ending horizon, these houses were first built in the American prairies. Since the prairies were flat, they were constructed to sit at one level so as not to obstruct the vision. These ranches saw a complete renewal of demand in the middle of the past century when the American soldiers came back from the war and decided to set up home. They were easy to build and nothing would give the feel of Americana more than a low slung ranch house. Hundreds of these houses were built in the outskirts of San Francisco. The unpretentious house I bought was single storied, with an open floor plan. It had a vaulted ceiling with exposed beams, shuttered windows, overhanging eaves, rustic stucco exterior trim and a Spanish tile roof. Every room in the house opened into the backyard. My house had all the features of a classic ranch. The essence of indoor-outdoor living was completely distilled for me now. Cut to circa 2009. I waited in a queue for over five hours to get into the California Academy of Sciences, which took over a decade to build at the cost of over $500 million. 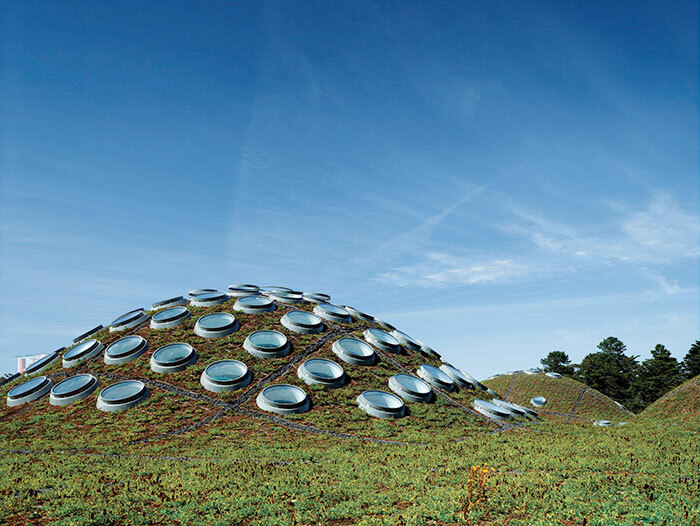 The brainchild of architect Renzo Piano, this museum is a tribute to the green movement in America. Certified the greenest museum in the world, the issue of sustainability is of the highest priority at this museum. The gigantic building that hosts a planetarium, an aquarium, a natural history museum and a four-storey rainforest in addition to restaurants and lecture halls seamlessly merges with the park to the extent that the roof looks like gentle rolling hills. A million native plants have been planted on the 2.5 acre roof, rows of rechargeable pods stand in the garage for charging green cars, a solar canopy of 60,000 photo voltaic cells power the building and recycled denim is used as insulation. I left the building with a feeling of complete joy. The future had arrived.